- Nothing beats fresh-picked blackberries... even if you're a dragon! 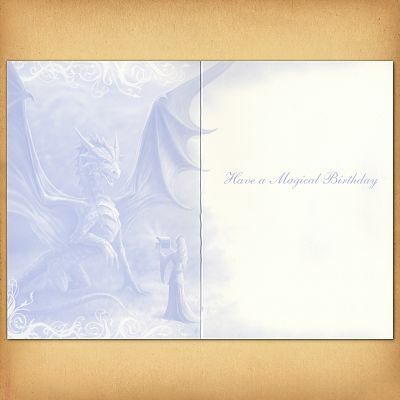 Inner card reads: "Have a Magical Birthday". Artwork by Anne Stokes. 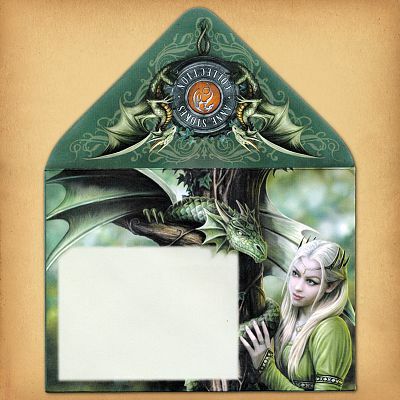 Coordinating envelope has a dragon and ivy design. Tree friendly, printed with vegetable oil based inks. Card measures 6 3/4" by 4 3/4". 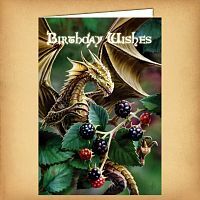 Do you have any other questions about our Blackberry Dragon Birthday Card?